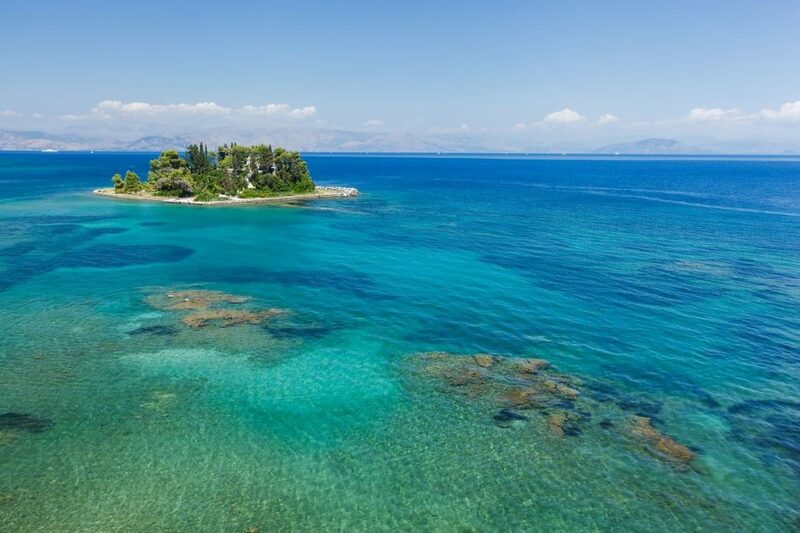 It is synonymous with the image of Corfu, one of its most famous landscapes and the one found in the lyrics of multiple songs! 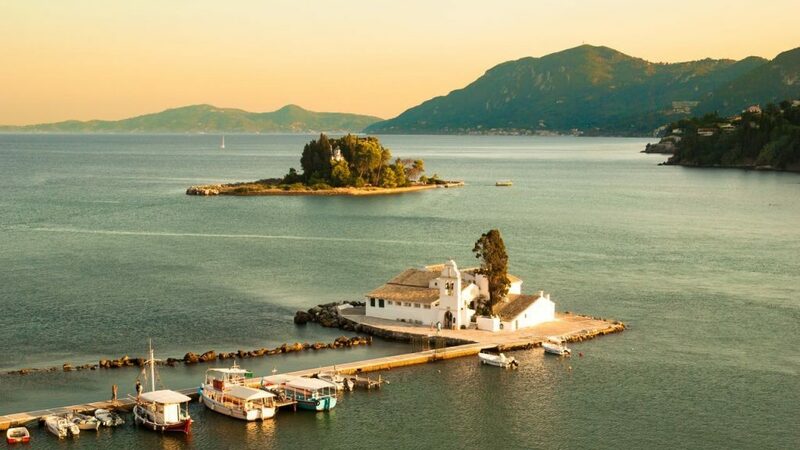 Of course it is the one and only Pontikonisi, the small island in the entrance of the ancient Ellaiko port where, the Lagoon of Chalikiopoulos is today. Pontikonisi is a verdant area, full of tall cypress trees and other plants of rare beauty. 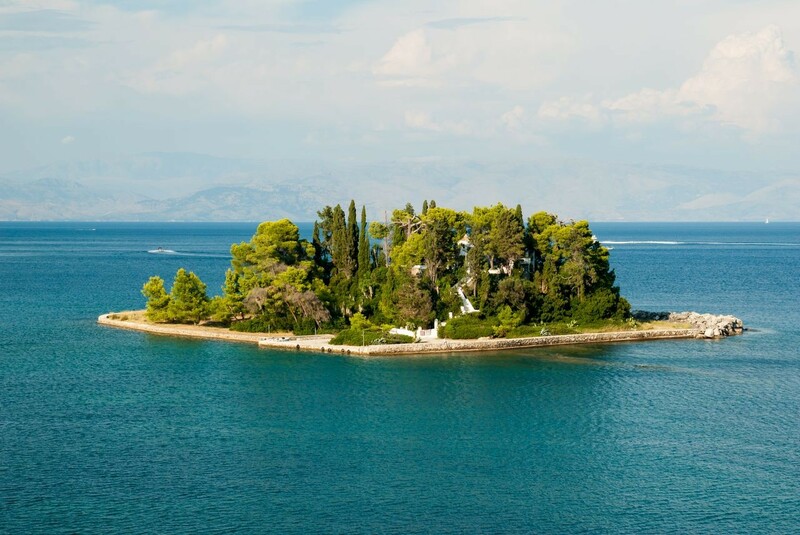 For this reason, this island is considered a natural monument and it is not allowed for visitors to disembark there but, only for a little while and under strict surveillance by guards. The name Pontikonisi derives from its shape because if someone sees it from high above, it looks like the small animal (mouse)! According to the myth, Pontikonisi was the ship of Odysseus which was transformed into a rock by Poseidon, as he was furious with the resourceful king of Ithaca, in order to prevent him once more, from returning to his homeland. During the 18th century, during the reign of king Otto, the Monastery of Pantokratoras was built in Pontikonisi, which is ruined today, with a church devoted to the Metamorfosis of Sotiros which celebrates in the 6th of August. On this day, as an exception, visitors are allowed access to the island for the religious celebration. Today Pontikonisi is under the jurisdiction of the Municipality of Kerkyraion which built the little pier for boats that depart from Panagia in Vlaherna. 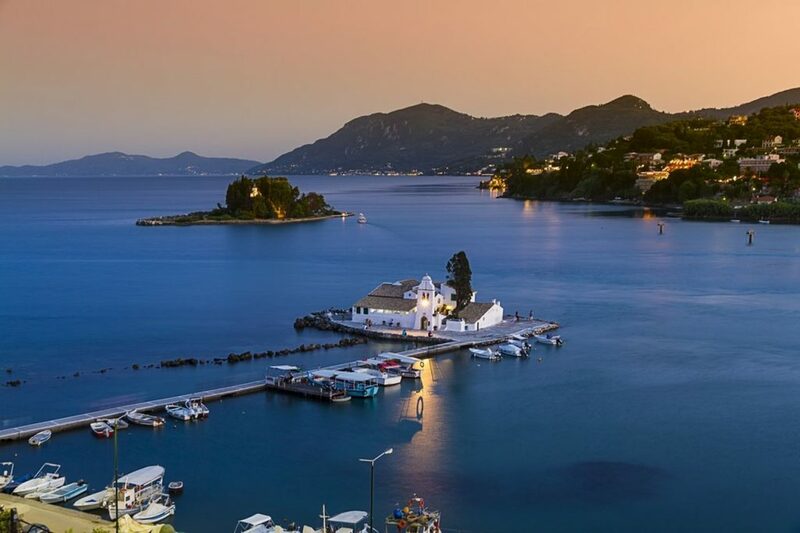 However, the best view towards Pontikonisi is from Kanoni: In front of you is the serene sea, the picturesque Panagia in Vlaherna and in the background the Pontikonisi. What makes this experience unique, are the aircraft that pass very close to it, during their take-off or landing, on the airport of Corfu which is nearby.